We’re looking for the best and brightest to join our Creative department. We’re a team of 100+ professionals operating as the company’s internal agency servicing clients throughout the entire organization. 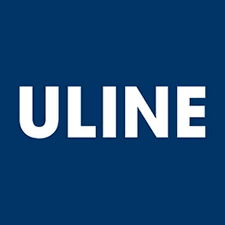 If you thrive in a fast paced environment and have a roll-up-your-sleeves attitude, Uline is the place for you. Uline currently has an exciting opportunity for an experienced and motivated individual to join our Creative Team as a Digital Asset Manager. The Digital Asset Manager will oversee the taxonomy, metadata and classification of digital assets to effectively manage the lifecycle of information from creation to publication to archive. They will also manage the day-to-day operations of the Digital Asset Management system for the Creative department. Manage lifecycle of image assets after creation, including selects and ingestion within MediaBank, Uline’s digital asset management system (DAM). Adobe Creative Cloud and MediaBank experience preferred. We’re growing fast and looking for future leaders and problem-solvers who are ready to grow with us. If you have passion for what you do, then we’ll provide the tools you need for success. Plus, you’ll also receive fantastic benefits and perks that create an outstanding work environment for everyone at Uline.